The Department of Health and Human Services has canceled a contract with a supplier of body parts from aborted babies. On Monday night the administration announced the Food and Drug Administration would no longer partner with Advanced Bioscience Resources (ABR) to supply body parts from aborted babies for scientific research. That company is now the subject of a Department of Justice investigation stemming from undercover footage released by the pro-life Center for Medical Progress in 2015. The department said the contract was not adequately vetted. "HHS was not sufficiently assured that the contract included the appropriate protections applicable to fetal tissue research or met all other procurement requirements," HHS said in a statement. ABR representatives did not return requests for comment. ABR obtained the $15,900 contract in July to supply baby body parts to researchers in order to produce humanized mice for medical testing. The agency said in a June pre-solicitation notice that it planned to enter into a sole provider contract with the company from July 2018 to July 2019. ABR, the notice said, was the only company capable of supplying the "fresh tissue" needed to replicate human immune systems in rodents for medical testing. "The Government intends to solicit and negotiate directly with Advanced Bioscience Resources," the notice said. "No other company or organization is capable of fulfilling the need." ABR has long partnered with the federal government. Undercover videos released by the Center for Medical Progress captured one ABR executive recounting the company's contracts with the National Institutes of Health. Any limits on abortion or protections for babies that survive abortions would hurt ABR's bottomline, she told the investigators. "Now they're trying to make abortion illegal and that's where we get our tissue," the ABR official said. "The whole point is not to have a live birth." Center for Medical Progress founder David Daleiden said the contract never should have been signed in the first place, but called the HHS announcement a good first step to cracking down on the baby organ trade in the United States. "So long as HHS trades taxpayer dollars for freshly-aborted baby body parts, the U.S. government is setting its own abortion quotas and sending the message that these children are worth more dead than alive," he said in a statement. "HHS has taken a small first step to stop the epidemic of trafficking tiny baby hearts, lungs, livers, and brains from late-term abortion clinics into government-sponsored laboratories for taxpayer-funded experimentation." Other pro-life groups were critical of the statement, saying the department needs to go further in its oversight of medical research and should cut off contracts with abortion providers and organ suppliers. The Susan B. Anthony list, which helped spearhead a letter pressing lawmakers to cut off such contracts, said the agency needs to take additional measures to ensure taxpayers are not funding abortion clinics and those who profit in the aftermath. The group called for an "immediate moratorium" on further funding and existing medical research contracts that directed $100 million to the abortion industry in 2016. "Secretary Azar must put an immediate moratorium on funding for research using aborted baby organs and tissue purchased from the abortion industry," SBA List president Marjorie Dannenfelser said in a statement. House Republicans attempted to ban funding research involving body parts obtained from abortion in the spending bill adopted last week, but the language, as well as other measures aimed at defunding Planned Parenthood, did not make it into the final bill negotiated with the GOP-controlled Senate. The continued taxpayer funding of the abortion industry infuriated pro-life activists. Tom McClusky, president for March for Life Action, said congressional leaders betrayed abortion opponents. He criticized leaders for forcing rank-and-file pro-life members to choose between funding the troops and Planned Parenthood. The majority should have instead forced Democrats to justify their commitment to protecting the $500 million the nation's largest abortion providers receive every year from taxpayers. The GOP leadership "could have put Democrats in a tough spot of having to explain to their voters why funding Planned Parenthood is more important than the troops," McClusky told the Washington Free Beacon. "They were stringing us along.… It appears we are just a bargaining chip, and we're one that's not well-treated." A spokesman for Majority Leader Mitch McConnell (R., Ky.) said he is committed to defunding Planned Parenthood, pointing to the senator's vote on stand-alone measures, but declined to answer follow-up questions about using spending legislation to advance pro-life causes. A top staffer in the House told the Washington Free Beacon that there was little hope of passing defunding legislation through the Senate and that regulatory actions by the Trump administration are the only viable option moving forward. "While we don't have the votes, we're hopeful the Trump administration is able to act here," the House aide said. 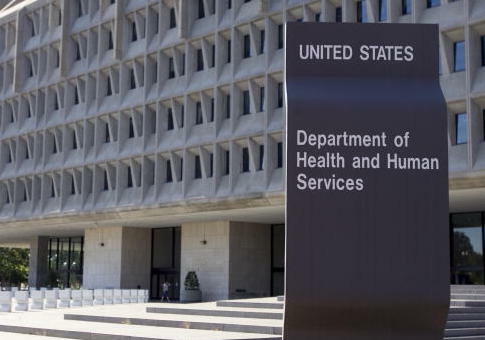 "HHS is now conducting an audit of all acquisitions involving human fetal tissue to ensure conformity with procurement and human fetal tissue research laws and regulations," the agency said in its announcement. "HHS is continuing to review whether adequate alternatives exist to the use of human fetal tissue in HHS funded research and will ensure that efforts to develop such alternatives are funded and accelerated." This entry was posted in Issues and tagged Abortion, HHS, Planned Parenthood. Bookmark the permalink.